The Best Locksmith blogs from thousands of top Locksmith blogs in our index using search and social metrics. Data will be refreshed once a week. 2.79 Dawson Security Group, Inc.
Locksmith newsletter is a comprehensive summary of the day's most important blog posts and news articles from the best Locksmith websites on the web, and delivered to your email inbox each morning. To subscribe, simply provide us with your email address. Los Angeles, CA About Blog A great resource to learn about keys, locks and safety. The blog provides tips, advice and how-to's for consumers, locksmiths, and security professionals. Facebook fans 1,131. Twitter followers 9,895. About Blog Danny Gurvis, a highly qualified master locksmith, learned his craft as an apprentice to three master locksmiths over the course of 4 years.Completing his apprenticeship in 1988. Danny served as an apprentice in small, medium and large businesses. This site is to inform about historical and modern approaches to keys, locks and physical security products and services. San Francisco, CA About Blog This sub-reddit is for discussion for locksmiths, related news and ask questions about anything related to lock repair, replacement and more. Facebook fans 1,142,666. Twitter followers 503,727. UK About Blog Here at LockRite we cover all aspects of general locksmith work. Stay up to date with the latest news, views and information from the UK's largest network of professional locksmiths. Facebook fans 209. Twitter followers 1,280. Dallas, TX About Blog A-1 Locksmith and Safe & Security Group is a local DFW Locksmith and Security company that provides Commercial, Residential, and Automotive security services. Read the blog to find useful advice and information. Facebook fans 1,438. Twitter followers 3,520. North London About Blog IKS Locksmiths started as a small family run company that has quickly grown into a well respected locksmith Barnet company. The blog features helpful tips and information about locks and key problems, emergency locksmith situations and home security to keep you and your family safe. Facebook fans 323. Twitter followers 1,389. About Blog Here at Locksmith Brighton we are aware of intruders becoming ever cleverer in their use of technology. The locksmith industry is working at full speed to counter this threat by providing ingenious technological security solutions. Toronto, Ontario About Blog FC Locksmith in Toronto offers expert commercial, residential & auto locksmith services 24 hours a day. Visit the blog to find useful information. Facebook fans 121. Twitter followers 9. Phoenix, AZ About Blog Alcatraz Locksmith is a local veteran owned, bonded, certified, and fully insured Arizona Locksmith Service in the Phoenix-Metropolitan area. Read the blog to find articles by top rated locksmiths in Phoenix Arizona. Facebook fans n/a. Twitter followers 3,283. Leeds, England About Blog Easy Pickings Locksmiths Leeds are fully trained by the military and Sunderland Locksmith Association and offer a fast, emergency locksmith service around Leeds. Subscribe to keep up with the latest news and updates from this blog. Facebook fans 201. Twitter followers 176. Charlotte, NC About Blog Eastway Lock & Key, Inc. has been operating in the Charlotte area for over 30 years assisting residential and commercial clients with all their locksmith needs. Randolph, MA About Blog The Flying Lockmsiths Inc, is a fully certified locksmith company and all inclusive security provider, servicing Boston and the surrounding areas since 1946. Facebook fans 1,321. Twitter followers 491. Daventry About Blog The Master Locksmiths Association Blog is aimed at providing locksmiths information news, advice and security tips. Facebook fans 2,108. Twitter followers 4,651. London About Blog UKBumpKeys is the largest specialist lock picking and non-destructive entry tool shop, with thousands of satisfied customers. Subscribe to keep up with latest Lock Picking and Lock Bumping News. Facebook fans 2,159. Twitter followers 28,053. About Blog Mr. Rekey is a residential and commercial locksmith service currently operating in more than 30 major markets across the United States. Check out the blog for updates and insights on residential and commercial locksmith services. Facebook fans 695. Twitter followers 4,860. Tampa Florida About Blog Founded in 1981, Security Lock Systems provides complete Locksmith, Video Surveillance, and Access Control Systems. Find out the latest in security system news and technology with our active blog. Facebook fans 31. Twitter followers 77. Las Vegas, NV About Blog Check out our blog to learn more on free tips to secure your home/business and do-it-yourself included videos tutorial. Facebook fans 489. Twitter followers 28. Phoenix, AZ About Blog Get the latest updates on new home security products and lock products from ACME Locksmith. Facebook fans 727. Twitter followers 386. Chicago About Blog Chicago Locksmith services all locksmith needs in the Chicago area. Visit the blog to find useful information about lock change and rekey locksmith services, commercial locksmith services, lock installation and lock repair services. Facebook fans 6,412. Twitter followers 2,787. Vancouver, Canada About Blog Terry Whin-Yates is the president and CEO of Mr. Locksmith. Terry is engaged in the locksmith community and is actively working towards the improvement of the Locksmithing industry on a whole. Facebook fans 4,228. Twitter followers 4,176. Milton & Ottawa, Ontario About Blog Aim Lock & Safe is proudly family owned and operated. Combined, the Aim Lock & Safe team has over 100 years of locksmith and security experience. Facebook fans 279. Twitter followers 172. Cincinnati, OH 45202 About Blog Eagle's Locksmith is a certified locksmith in Cincinnati OH providing Residential & Commercial lock change, lock rekey, installation & master keys. Locksmith Blog helps learn about your lock for home and business. Learn about new locks technology in the locksmith industry in Cincinnati. Facebook fans 235. Twitter followers 337. About Blog Locksmith Sarasota offers 24 hour locksmith services that are professional and fast. Read the blog to find useful information. Nationwide in U.S. About Blog We are a nation-wide but locally run locksmith company. We specialize in lock replacement, re-key, repair, auto, home and business lockouts, and more. Facebook fans 106. Twitter followers 209. Facebook fans 236. Twitter followers 108. Wakefield, West Yorkshire About Blog Here at MPL we specialize in locksmith training courses. Take a look at some of our blogs to find out some useful information about locksmith training. Facebook fans 299. Twitter followers 1,075. Sydney, New South Wales About Blog The blog provides you with the latest security advice tips to secure your home, office or car. Nationwide About Blog 1800-UNLOCKS is a locksmith directory full of Guaranteed Locksmiths Near You that are Highly Qualified and Verified. Emergency, Auto, Home, Business, and Safe. Our Locksmiths do it all! Strives to reinvigorate the entrepreneurial spirit within locksmiths, educate and protect their customers against illegal locksmiths, and simplify the process of finding your local professional locksmith. Facebook fans 2,225. Twitter followers 132. Phoenix, AZ About Blog Read the blog to find articles for residential and commercial properties to automobiles and security cameras. About Blog Discount Locksmith LLC is a Nationwide company specializing in providing fast & affordable automotive, residential & commercial locksmith services. Read the blog to find helpful information. Facebook fans 97. Twitter followers 1,991. San Francisco Bay Area About Blog Bob and Christine’s Lockpick Extreme provides fun, informative, entertaining hands-on training in the arts of lockpicking and handcuff escape. Facebook fans 70. Twitter followers 334. About Blog Read posts about general security, residential, commercial and automotive locksmith advice and browse our archives here. Sidcup , Kent. About Blog ITCC Locksmiths and Security is an independent family run business with many years experience in the security field. Read the blog to find helpful information for residential and commercial purpose. Facebook fans 198. Twitter followers 488. About Blog Visit the blog to find information on how to unlock car door or trunk, replacement and programming of all type of car keys. About Blog A locksmith blog from a professional locksmith about all things lock related - locksmith news, locksmith tool reviews and lock review. Pittsburgh, PA About Blog Murray Locksmith provides any access solution from simple locks to sophisticated electro/mechanic systems. Take a look at the blog to find helpful articles. New York About Blog Highgate Security and Locksmith NY's goal as a company is to build relationships based on quality performance and fair pricing. Check the blog to find more articles on locksmith services. Facebook fans 111. Twitter followers 130. San Diego, Ca About Blog As San Diego's trusted locksmith service provider, LockTechs share industry insight and best practices in our locksmith blog. Facebook fans 28. Twitter followers 128. Miami Dade - Broward - W. Palm About Blog Read our blog to learn about the locksmith products, locks and their functions. Facebook fans 821. Twitter followers 59. Toronto About Blog CityWide Locksmith was established in 1962 as a mobile locksmith company in Toronto. It provides emergency, commercial and residential Locksmith services in the Greater Toronto Area. Facebook fans 1,856. Twitter followers 652. Arlington, Tx About Blog Read our blog to learn all about locksmith services, how to keep your home or business safe with access control and surveillance systems, safes, and more. Facebook fans 212. Twitter followers 29. San Diego, CA About Blog Read the blog to stay up to date with the latest trends in locksmith industry. Facebook fans 1,093. Twitter followers 883. Dubai, United Arab Emirates About Blog Fahad lock repairing service provide the locksmith services in Dubai. Read the blog to find helpful articles on lock repairing. Connecticut, USA About Blog Keep up on the latest lock and security news in Connecticut with the AA All American Locksmiths news blog. About Blog Learn about home security & locksmith services. Read the blog to find more information. About Blog Check out the latest blog posts, news and articles from North Philadelphia Locksmith. About Blog Complete Range of Locksmith Services. Our skilled locksmiths can help with any type of project, including re-keying, lock installation and repair, key duplication and lockout services. We’re also here to help in an emergency! Tampa, FL About Blog Get Information about locksmith services, key replacements in our blogs. Facebook fans 68. Twitter followers 6. Reading About Blog Read the latest news and information regarding Lock Solutions of Reading. Find out what they've been up to and learn tips and tricks about security. Facebook fans 776. Twitter followers 131. Charlotte, NC About Blog In AKM Auto Key masters blog you can find a necessary information about locksmith services. Facebook fans 554. Twitter followers 6. About Blog Read up on the latest news from Lock, Stock & Farrell on all Perth Locksmith matters. Mount Lawley, WA About Blog AMCO Locksmiths is a family owned business based in Mount Lawley that has been providing locksmithing services in Perth for many years. Facebook fans 264. Twitter followers 8. Albuquerque, NM About Blog Dedicated to securing New Mexico since 1978, Bill’s Lock & Key, Inc., is here to help with all of your lock and key needs. From commercial and residential hardware to the latest automotive technology, we do it all. Facebook fans 320. Twitter followers 4. About Blog South Shore Locksmith is a full-service locksmith company serving the local South Florida community since 1975. Los Angeles, USA About Blog ASAP Locksmith Los Angeles is Licensed and Insured Locksmith Company With 24 Hour Mobile Services, Lockout Services, Automotive, Residential and Commercial. Facebook fans 75. Twitter followers 160. Des Moines, IA About Blog Learn about latest home and commercial security systems along with our lock repair and locksmith services in the Des Moines area. Facebook fans 1,370. Twitter followers 1,884. About Blog Read the blog to find information on repairing and replacement of locks. About Blog Follow The Professional Locksmith blog for company updates, industry news, and tips to secure your belongings or receive professional locksmith help. Traverse City, MI About Blog Read the blog to find useful advice and information. Facebook fans 233. Twitter followers 9. Portland, OR About Blog Advantage Locksmith Portland's news blog provides information about a wide range of residential, commercial, automotive locksmith services in Portland, OR. About Blog Locksmith Birmingham pride themselves in working in Birmingham and the surrounding areas so they can provide a high quality security evaluations to make sure that your home is as secure as possible, to prevent break ins. Visit the blog to find useful articles on locks security. About Blog Tempe AZ Locksmith 24 has been serving residents and business owners in Tempe for more than a decade. About Blog Learn about locksmithing. locksmith tips, locksmith services, locksmith information, locksmith work, locksmith tools, & more. Brisbane, Queensland, AUS About Blog Keep visiting our blog page to know more about latest Brisbane locksmith news updates. Facebook fans 20. Twitter followers 2. About Blog Locksmith in Orlando believes your auto is essential for a wide range of purposes, from getting the chance to work, to encouraging the family, to hanging out with companions. But also a magnet for criminal mischief especially, when you install surround system, new rims, and sometimes only a new model. About Blog Locksmith Denver Blog For All New Locksmith Articles, Locksmith Denver Provides Professional Mobile Locksmith For Home, Car & Business 24/7. Facebook fans 226. Twitter followers 36. Chelsea 14th St. New York City About Blog Arties Locksmith has provided emergency locksmith services & advanced security solutions in New York/New Jersey for over 85 years. Read the blog to find articles for homes and commercial purposes. Facebook fans 67. Twitter followers 286. About Blog Anytime Locksmith Co is a locally owned in Tucson. Read the blog to find articles on locksmith services. Phoenix, Arizona About Blog Stay up to date with auto theft protection and car locksmith services with informative articles by the experienced auto locksmiths at US Key Service. Facebook fans 565. Twitter followers 3. Maryland About Blog Top Locksmith Service is District of Columbia and Maryland reliable local locksmith company. Read the blog to find information on car lockout, lock change, home lockout, lock rekey and more. Facebook fans 333. Twitter followers 1,436. Research Vic Aust About Blog For over 15 years The Lock Guy has been providing superior professional locksmith services to Commercial and Residential customers throughout Melbourne Metro and surrounding suburbs. Facebook fans 833. Twitter followers 1,351. Darlington About Blog MJS Locksmiths are a Darlington based company who cover the whole of the North East providing a 24 hour Locksmith service & a 24 hour Boarding up & burglar repair service. Facebook fans 118. Twitter followers 1,068. Swadlincote, England About Blog Pick Me Locksmith is a small family run organisation based in Swadlincote. Read the blog to find useful tips on keeping your home or business safe and secure. Facebook fans 189. Twitter followers 434. West Midlands, England About Blog Find out the latest news from Chubb Locksmiths, a Sutton Coldfield based emergency locksmith. Facebook fans 244. Twitter followers 339. West Palm Beach, FL About Blog Lenny The locksmith West Palm Beach is a full service locksmith company. Read the blog to find articles for all your needs. 79. Dawson Security Group, Inc.
Spring, TX About Blog Visit the blog to read news from Dawson Security Group about commercial key, safe, lock & hardware services. Facebook fans 169. Twitter followers 282. United States About Blog 1stCity Locksmith is licensed, bonded and insured locksmith company registered as First Locksmith LLC with license number 6316. The blog features helpful tips and information about locks and key problems, emergency locksmith situations and home security to keep you and your family safe. Facebook fans 52. Twitter followers 264. Sydney, New South Wales About Blog Read the blog to find useful articles on key cutting, lockouts, broken keys and broken locks. Facebook fans 122. Twitter followers 35. Scottsdale, AZ About Blog Millennium Locksmith Scottsdale Arizona has been serving customers throughout the Greater Phoenix area for more than a decade. Check the blog to stay up to date with the latest news and updates on everything related to locks. About Blog Read the Whitleys Lock & Safe blog for all your locksmith needs. Coral Springs, FL About Blog Read the blog for all your locksmith needs. Facebook fans 84. Twitter followers 25. Rancho Cucamonga About Blog Visit All City Locksmith Blog and read our latest news and updates about residential, commercial, automotive and emergency locksmith services. Facebook fans 14. Twitter followers 88. Abington, MA, US, 02351 About Blog Abington Locksmith is an owner operated mobile locksmith company from Abington, MA. Check the blog to find articles on commercial or residential locksmith services. Miami, FL About Blog Sebastian Locksmiths Service offers an extensive variety of services, to prevent you being locked out of office or your home. Visit the blog to find articles that will help with your lock needs. About Blog Affordable Locksmiths is a family owned and run business providing trustworthy and reliable locksmith services in Bexleyheath and the surrounding areas. Atlanta, Georgia About Blog Check out our blog periodically to learn great tips on ways to prevent a lock-out situation. Facebook fans 83. Twitter followers 1. Smith St Collingwood, Victoria About Blog Since launching in 1984, Amalgamated Locksmiths have become Collingwood’s favourite team of locksmiths. Facebook fans 58. Twitter followers 25. About Blog Read our Blog for security tips & advice from the experienced locksmith team at Fusion Locksmiths. Calgary, Alberta About Blog Visit the blog to find articles on home, car lockout, lock repair, re-key, & key cutting. Facebook fans 63. Twitter followers 12. Illinois, USA About Blog In Panda Locksmith blog you can read the latest news and interesting articles about locksmith services, locks, keys and security solutions. About Blog Affordable Locksmith of Texas is a local, family-owned and operated 24-hour locksmith business. Visit the blog to find articles on commercial, residential, auto, and emergency locksmith services. Belfast About Blog Read a vast array of articles written by Locksmiths. Facebook fans 35. Twitter followers 3. Oklahoma City, OK About Blog Visit the blog to find articles on the latest locksmith techniques. Facebook fans 16. Twitter followers 21. Fort Lauderdale, FL About Blog Lock-N-More is America's Neighborhood Locksmith. Check out our locksmith blog for useful tips and the latest information on locks, keys, security, and more. Facebook fans 65. Twitter followers 1. Sherwood Park, Alberta About Blog Sherwood Park 24/7 Locksmith was established with the aim of providing professional residential and commercial locksmith services to the Sherwood Park community 24 hours a day, 7 days a week. Read our latest blogs on all locksmith services. About Blog Allpro Lock & Safe is proud to have been serving Chilliwack and the surrounding areas for over 40 years. Learn more by visiting our website and checking out our blogs. Tarzana, CA About Blog Articles for Locksmith service in Los Angeles, here you can find everything you should know about Locksmith. About Blog View our blog on the latest Locksmith industry trends and interesting topics. About Blog Quick Lockworks offers emergency, residential, and commercial locksmith services in Calgary. About Blog Blog written by a local master locksmith on behalf of PSS locksmiths Sheffield. 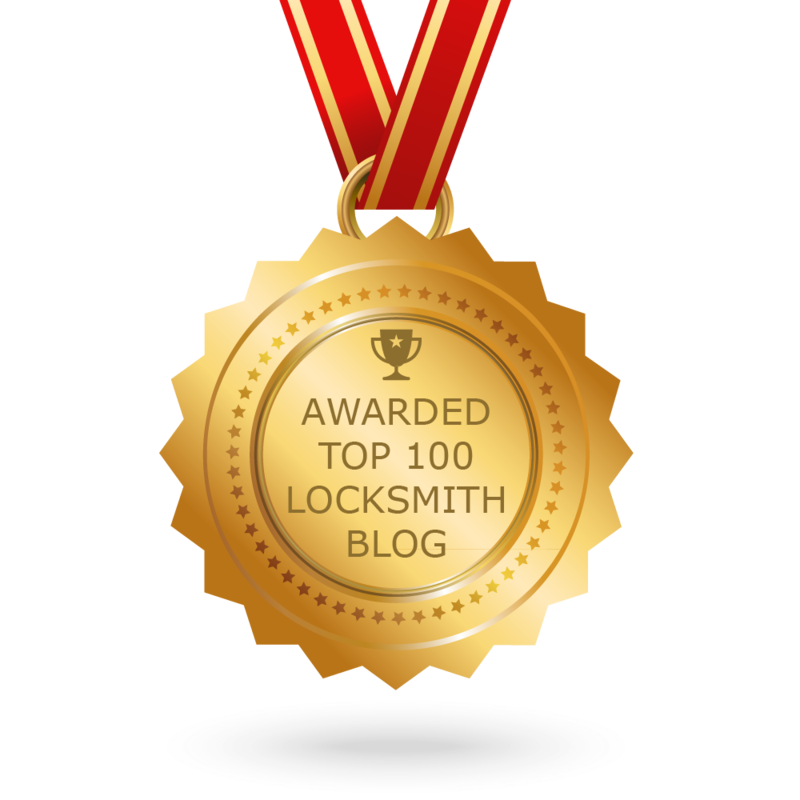 CONGRATULATIONS to every blogger that has made this Top Locksmith Blogs list! This is the most comprehensive list of best Locksmith blogs on the internet and I’m honoured to have you as part of this! I personally give you a high-five and want to thank you for your contribution to this world.